St. Emilion Shore Excursion Includes: Our St. Emilion private tour ncludes services of a professional driver guide; wine tasting, entrance tickets to abbey, tolls, fuel and parking. 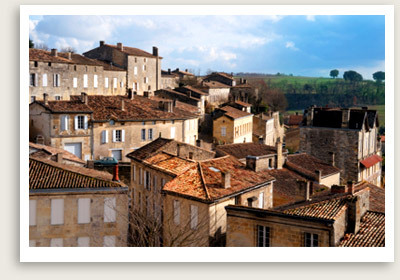 Well Arranged Travel offers shore excursions of St. Emilion as private tours from Bordeaux, Le Verdon or Arcachon. This private tour features the beautiful medieval town of St. Emilion, originally founded by a Breton monk in the 8th century. Here you can walk along the original city walls and climb the steep cobblestone streets exploring wine cellars, artisan studios, and art galleries. You can also pay a visit to the famous underground church carved out of solid limestone, whose sheer volume makes it the largest of Europe. The town’s founding monk lived in a small hermitage carved out nearby of a natural cave. 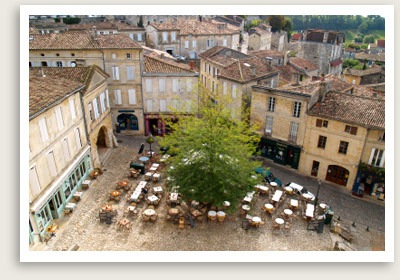 The private tour of St. Emilion includes a wine tasting in one of St. Emilion’s underground cellars. Several wineries right in town are built atop underground caves perfect for temperature-controlled oak-barrel aging. You also will have free time to explore the town on your own and have lunch in one of its many bistros, auberges, chateaux or hostelleries. St. Emilion’s hallmark dessert, a sweet mini-cake called cannelé shaped like a cascading fountain, makes a perfect afternoon snack paired with a glass of chilled Sauternes.